These Rexel Joy premium quality scissors are made with heavy gauge stainless steel blades, which are corrosion-resistant for durability. 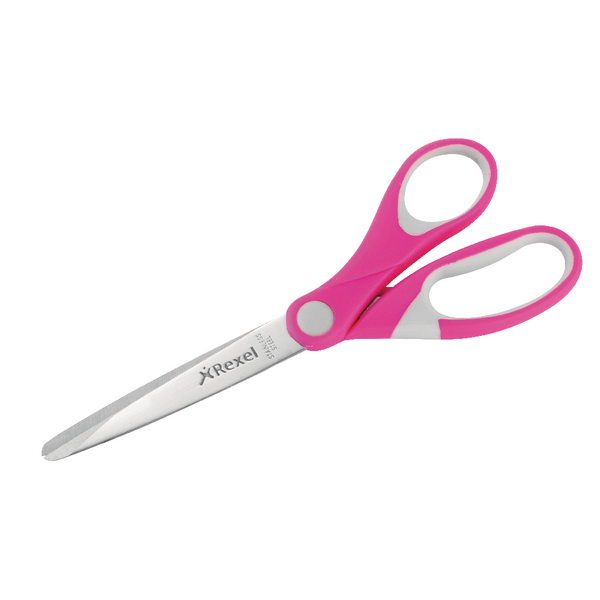 The scissors have a comfortable, ergonomic grip for effortless and easy cutting. They are suitable for cutting light cardboard, paper, tape and cloth. These pretty pink scissors measure 182mm.